I gotta level with you guys: I’m getting so bored of oil pens. It seems that the market is completely saturated with them, and there hasn’t been a fresh new design in a long time (I’m looking at you, generic oval-shaped oil vapes). So my initial reaction to the iTaste VV Vaporizer was positive. It’s square with slightly rounded edges, made of solid zinc metal, and about 3/4 inches wide by 4 inches tall. There’s a good solid weight to it, the power button has a satisfying mechanical click, and the backlit LED screen and control panel are well-placed and natural looking. Unique design… but is it functional too? HOW WELL DOES THE ITASTE VAPORIZER PERFORM? Above & Beyond. My first experiment was with some of my favorite Blue Dream wax. I placed it on the concentrate atomizer and slid on the globe attachment. The wax started vaporizing the instant I pushed the power button, so I quickly took a draw. It hit me like a freight train. The hit was smooth and clean, no metal or plastic taste whatsoever. IS THE ITASTE VV VAPORIZER VARIABLE VOLTAGE AND VARIABLE WATTAGE? Yes, it is. That’s what the “VV” in the name comes from! The voltage can be adjusted from 3.3 – 5.0V in 0.1V increments. The wattage can be adjusted from 6.0 – 11.0W in 0.5W increments. Changing voltage and/or wattage is sort of complicated and involves specific button pushes, but the manual explains it very clearly. DOES THE ITASTE HAVE A PUFF COUNTER? You bet. The puff counter records how many hits you’ve taken since you last unlocked the iTaste Vaporizer (like most other pen vapes, 3 quick clicks of the power button puts it in Lock mode). I kind of wish it would save the puff count until you manually reset it, that way you could truly track battery life, but you can’t, so oh well. WHAT ATTACHMENTS COME WITH THE ITASTE VAPORIZER? The iTaste comes in a nice package with the base battery unit and a charging cable. If you have a 510 attachment handy you can screw that on right away to start vaping, but if you don’t, you’ll need to pick up an attachment along with the vaporizer. The iTaste has quite a few official attachments: an herbal atomizer and a concentrate atomizer (each of which come with a nice snug globe attachment), an e-juice clearomizer, a glass bong attachment, and a nifty uniquely designed bubbler. HOW DOES THE ITASTE BUBBLER ATTACHMENT WORK? The iTaste VV’s bubbler attachment is my favorite part of the entire package. It takes just a tiny bit of water — any more than a quarter inch and you’ll end up with a mouth full of water. 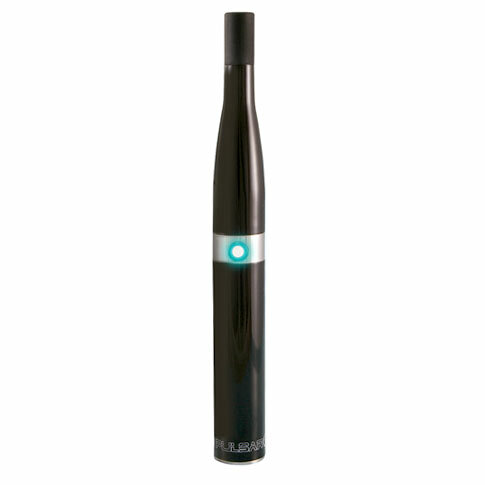 Click the power button and take a breath, and the vapor will begin to flow through the bubbler. Since it’s only a little bit of water, it won’t be super cooled down, so I made up for that by tossing the attachment in the freezer for an hour or so. Quite refreshing! But even if you don’t give it a quick freeze, the bubbler attachment is still impressive in both design and surprising functionality. HOW IS THE BATTERY PERFORMANCE ON THE ITASTE VV? The battery on the iTaste is a beast. It’ll last you dozens of hits before you need to recharge. For those of you who like numbers, it’s rated at 800 mAh, which isn’t really a lot but somehow it’s still strong. As an added bonus, the power button glows green, yellow, or red to indicate the pen’s battery level. WHAT CHARGING CABLE DOES THE ITASTE VAPE USE? The iTaste Vaporizer charges using a micro USB port, the same exact one that powers my Samsung Galaxy S4, which is fantastic because I already have a charger at home, at work, and in my car. Oh, and it’s got a passthrough power system, which means that you can use it as you charge it! Love that feature and glad to see it on the iTaste. IS THE ITASTE VV COMPATIBLE WITH OTHER ATTACHMENTS? The iTaste is 510 threaded, so you can toss on any 3rd party attachment you want. One of the best pen-style vaporizers we’ve tried. And the unique bubbler attachment is pretty baller. Hey, just out of curiosity, what did you find to be the best voltage and wattage settings for the I taste. Using it with a third party double ceramic coil for wax/oil concentrate. Sorry to be a ditz, but I’m new to this. 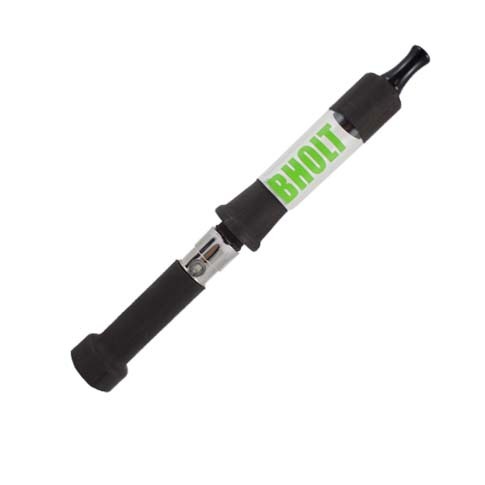 Is this a product which, in its stand-alone form – meaning straight out of the iTaste VV box, without any attachment, using only the pen assembly itself – can be efficiently used to vape leaf, wax, etc.? That is what I am hoping to find. If not, a suggestion or two of great vape pens that do meet those criteria would be most appreciated by me. Thank you. While you may be able to get some ‘franken-pen’ setup going with the VV to vape herbs and wax, these are typically used for e-juice. If you’re dead set on a pen-style unit, the Source Orb is a solid route. It comes with multiple atomizers for wax and herb. However, if you’re looking for a true vaporization experience, you’ll want to invest in a portable vaporizer, not a pen.